In recent years, coffee grinder technology has come a long way. 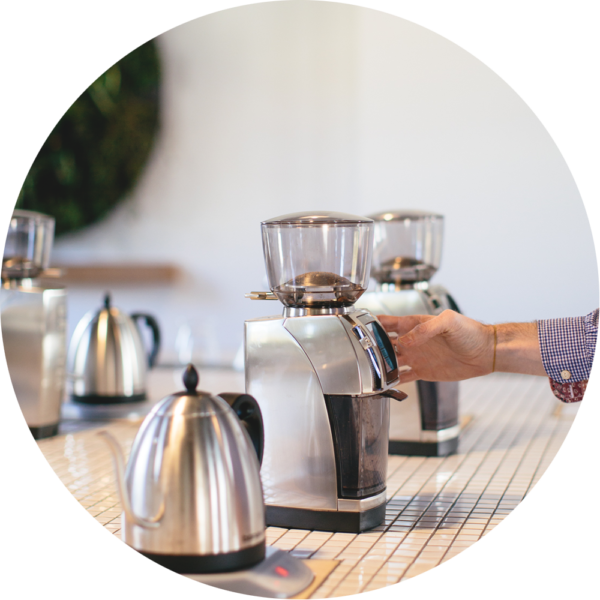 Given improvements in dosing accuracy, speed, coffee grind uniformity and temperature consistency, it’s little wonder that there’s a lot of confusion over which grinder will be best for your coffee set up. Fortunately, we’re here to support you in supplying the best grinder for your needs. With a winning combination of precision and reliability, Mazzer are the go-to manufacturer for quality grinders worldwide. 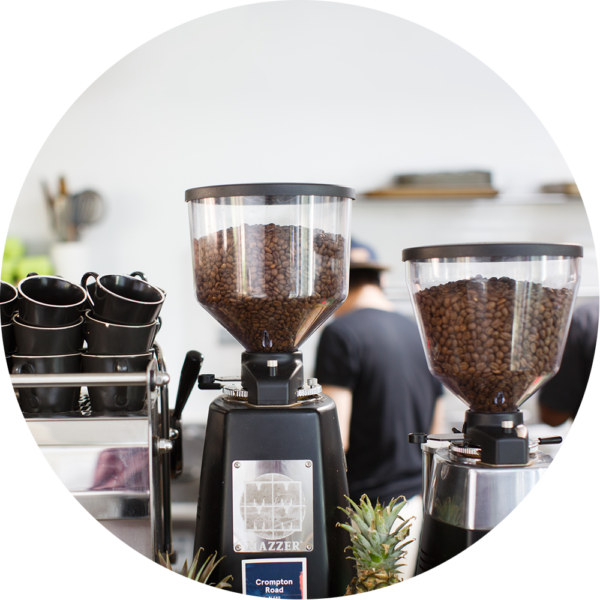 The unmistakeable leaders in espresso grinders for years, Mazzers can be found in specialty coffee venues throughout Australia and around the world. 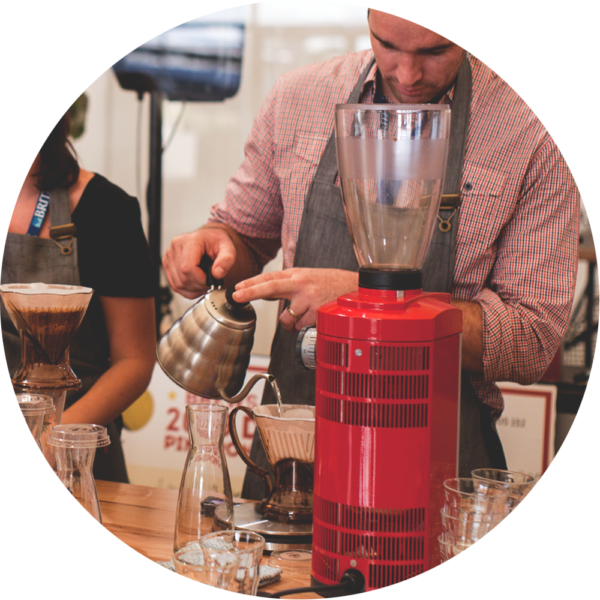 Mazzers are tried and tested workhorses which continue to deliver tasty results. With more than six models in their line-up, one is sure to suit your business. 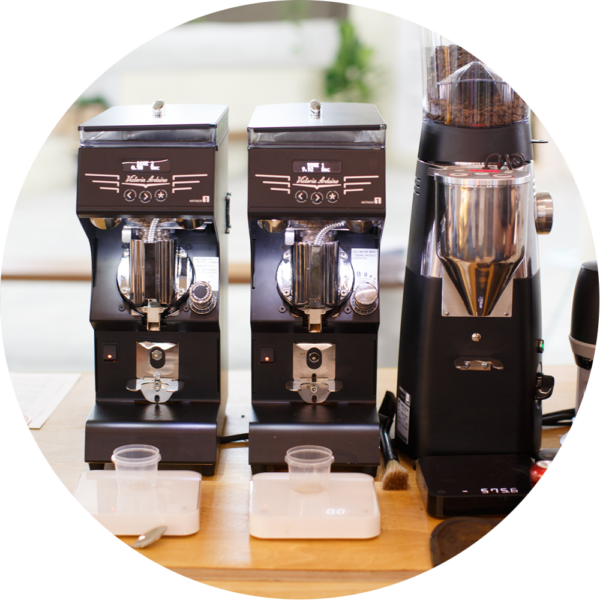 The Electronic addition to the Mazzer Robur grinds on demand with single and double independent adjustment. An excellent little decaf grinder. Mythos One is the new kid on the block. Featuring a flat-burr set and a very small volume of grind retention, they’re filling a significant gap in the market. The Clima Pro technology manages the temperature in the milling chamber to provide consistent results regardless of volume, while the 75mm flat-burr set delivers remarkable grind uniformity, ensuring fantastic-tasting espresso all the time. Our preferred grinder for café filter bars, the Marco Uber Grinder is an extremely fast, on-demand grinder which will complete a vast array of jobs. With zero grind retention and on the fly adjustment capabilities, this thing is a dream to work on in the middle of busy service. Snap between pour-over and espresso extraction with just a gram purge and know that both coffees are going to be just as tasty as they were when you dialled them in that morning. For all your on-demand grinding needs, it’s hard to look past the EK43. The 98mm flat-burr set makes light work of any volume of coffee you throw at it without losing quality. This grinder also provides you with the flexibility to grind for both espresso and traditional cupping grind-settings, as well as all stops in between! Much like the original EK43, the EKK43 is double the fun with two independent grinders for different applications. Originally designed as a deli-grinder, the EK range shot to fame inside the barista community for its extremely accurate particle distribution. 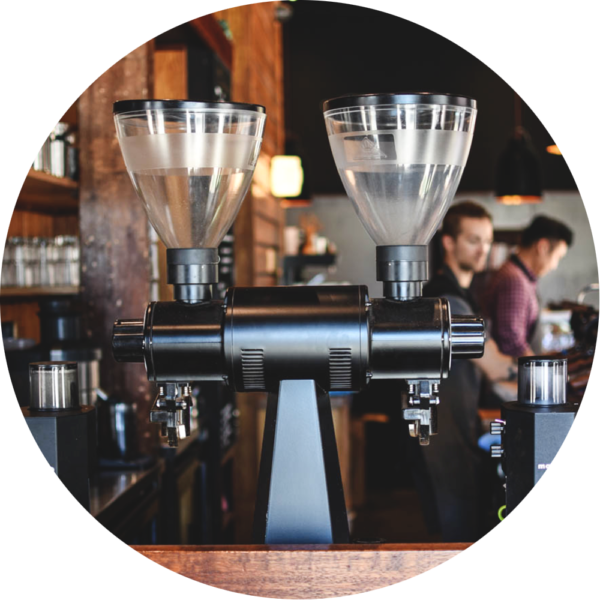 Baratza grinders are specifically designed for the home market, although we feel the Forte is robust enough to suit small café brew bars or to support cold brew preparation. Featuring metal construction, a lightweight footprint, an intuitive control panel and solid macro/micro adjustment, the Baratza Forte is the ultimate entry level grinder. The Forte uses flat ceramic burrs to produce an incredibly accurate grind. Genuinely innovative, its groundbreaking, inbuilt ‘grind by weight’ feature is the first of its kind. Shoot us some of your details or alternatively, call us in VIC on (03) 9239 6200, WA on (08) 9528 6200 or NSW on (02) 9509 1451. Thanks for the details. Anything else we should know?